The CZ Rami 2075 D is an excellent choice when it comes to concealed carry pistols. 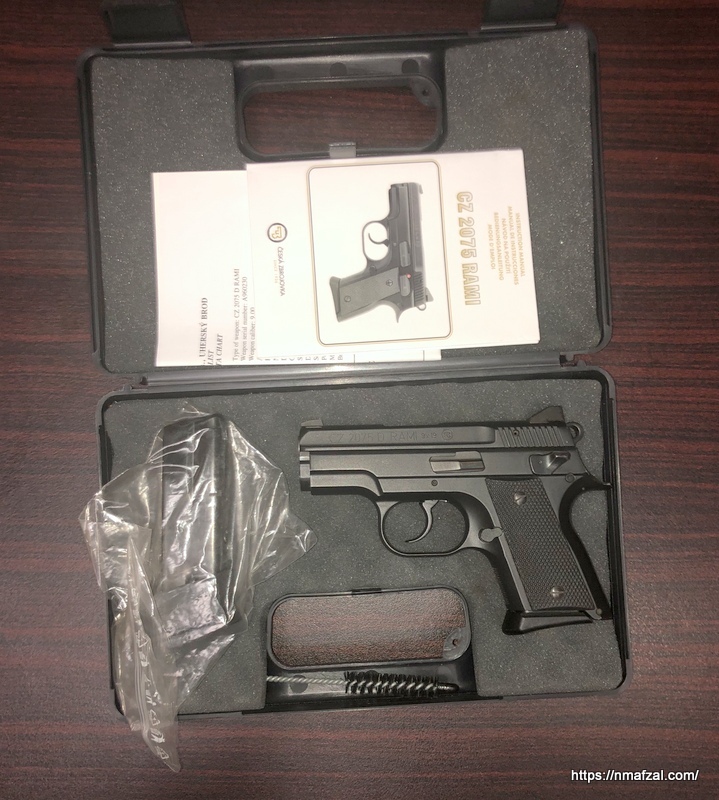 It is well balanced handgun with good capacity and features. Based on the famous CZ design this gun has decocker only, it is single/double action with a light trigger. It comes with two mags, a 10 rounder and a 14 with mag extension which makes the grip easy to hold. The plastic case has cleaning brush, manual, two mags (double stack) and its initial factory (zeroing) range results. Best of all it comes with true night sights (three dot) that glow in the dark. The pistol being reviewed is 9×19 although Rami also comes in .40 S&W. Rami with the 14 round magazine with extended base that results in a better grip. Rami with the 10 round magazine. Glow in the dark three dot fixed sights. The Rami 2015 D is a fine choice for concealed carry. It is a pretty reliable and accurate weapon in a small size. 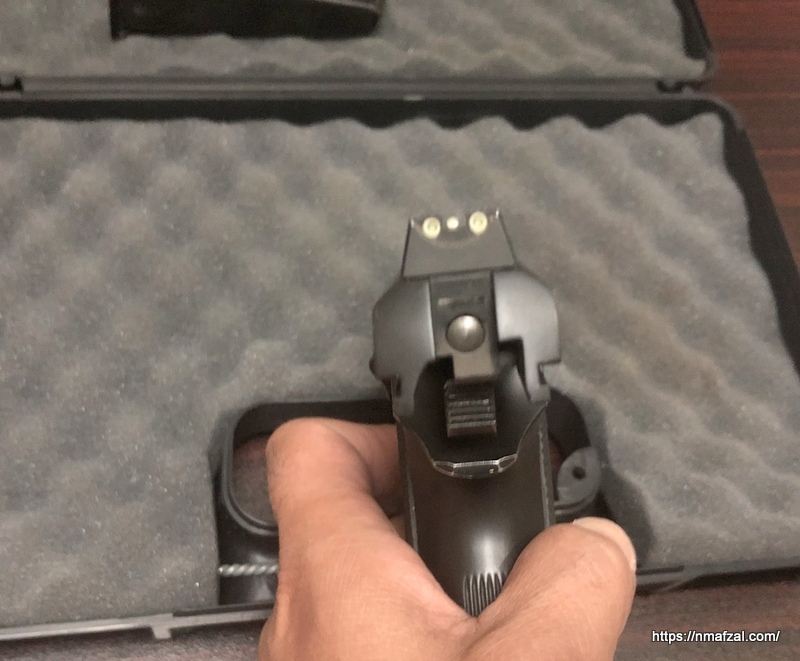 The small beaver tail giver a better grip and helps control muzzle flip in a small sized pistol, which in fact is a regular feature in all CZ handguns. In good old days, like about 3 years ago you buy a new CZ Rami for around Rs. 85,000. Now if you’re lucky a used will set you off by Rs. 150,000 at least or even more. New ones are pretty rare, though. Still, not a bad bargain considering the Rami’s reputation for reliability and accuracy. Good review of a gun from an outstanding as ever brand. 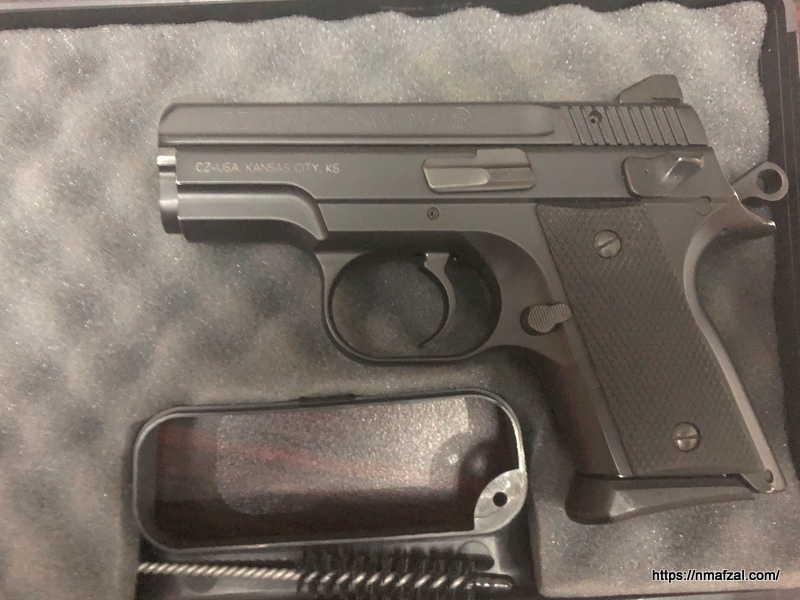 Have been looking for a CZ handgun myself. P01 to be exact. No luck yet. 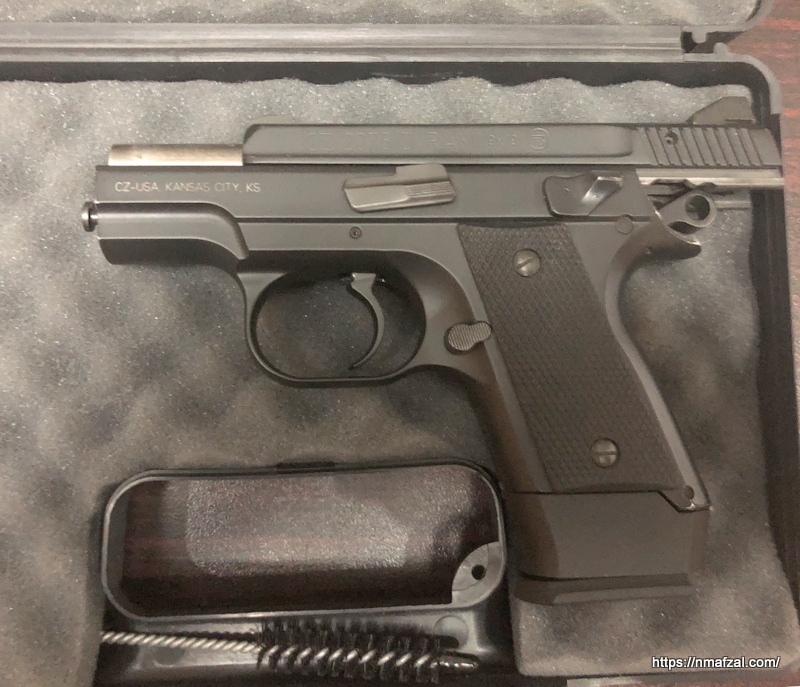 It seems I will have to settle with Turkish CZ clones.